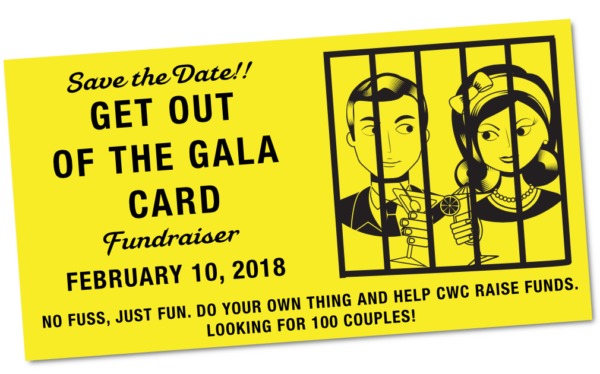 Get out of the Gala Fundraiser! Our goal this year is to raise $100,000 to award to students and non-profits this Spring. We are currently halfway to our goal. Our non-gala Gala is coming up in February. Our thought with this new non-event is enjoy a night at home with friends and to put the money where it can be used the best by saving the money spent on the dress, hair, nails, babysitter, etc. We are looking for 100 couples/businesses to donate $100 (or more) to our Love Fund and will receive a special thank you on our website, mention in an eblast, and social media.